Disney has experienced incredible box office success over the past few years, and with action-packed superhero movies, long-awaited sequels, potential franchise openers and closers, as well as a handful of new remakes set to premiere in the coming months, 2019 is showing no signs of slowing down. Disney’s powerhouse lineup currently includes iconic entertainment from Marvel, Pixar, and Lucasfilm, so we’re expecting a wide range of high-energy, fist-pumping heroics together with jaw-dropping displays of technological wizardry, wrapped up in a few heart-tugging tales certain to hit us right in the nostalgia glands. So grab your nearest calendar, stock up on your Mickey Mouse-shaped snacks, and prepare to break into your Hamm-inspired money banks, as we give you all the details you need to schedule your lives accordingly for the rest of the year. On International Women’s Day, Marvel Studios will be releasing their first female-led superhero movie and we couldn’t be more ready for it. Captain Marvel’s origin story stars Brie Larson as the titular character, also known as Carol Danvers, a former Air Force pilot who is catapulted to the stars when Earth becomes caught up in the center of a galactic war between two conflicting alien races – the militaristic blue-skinned Kree and the scientific shape-shifting Skrulls. Directed by Anna Boden and Ryan Fleck, this all-new adventure stars several Marvel Cinematic Universe favorites, including Samuel L. Jackson as Nick Fury and Clark Gregg as Agent Phil Coulson, together with Guardians of the Galaxy stars Lee Pace and Djimon Hounsou. Jude Law will also appear in a mysterious role that’s been hotly debated (Mar-Vell? Yon-Rogg? ), alongside franchise newcomers Gemma Chan, Lashana Lynch, Annette Bening and Ben Mendelsohn. A live-action remake of Disney’s beloved animated classic, Dumbo, will be soaring on to the big screen (and breaking our hearts) towards the end of March. You may need to tap up a theater-buddy for the adaptation of the 1941 feature, which famously tells the tale of a courageous baby elephant who has the magical ability to fly. The upcoming retelling will mix live-action with CGI to introduce us to Holt Farrier, a former circus star who finds his life turned upside down when he returns to the big tent post-war. Viewed through the lens of Tim Burton, this reimagined story is guaranteed to pull at your heartstrings with Colin Farrell taking the lead as a hero of war, alongside his two young children, Joe and Milly (played by Finley Hobbins and Nico Parker, respectively). The cast also includes Danny DeVito as struggling circus owner Max Medici, Michael Keaton as the ruthless entrepreneur V.A. Vandemere, and Eva Green as talented trapeze artist Colette Marchant. Take this as your advanced warning to stock up on tissues. Not going to lie, we’re slightly obsessed over the fact that penguins are the protagonists of Disneynature’s next theatrical release. Disneynature’s series of entertaining and educational documentaries are so often ‘aww’-inducing and the eighth installment looks set to be no different. Penguins is a coming-of-age story about an Adélie penguin named Steve who embarks on a swoon-filled quest to find a life partner and start a family in the Antarctic but is targeted by several threats that could potentially endanger his happily ever after. From the filmmaking team behind Bears and Chimpanzee, this all-new feature (narrated by The Amazing Spider-Man 2 actor Dane DeHaan) is poised for a nationwide release to coincide with Earth Day 2019. Previous stars that have lent their voices to Disney’s wildlife productions include Tim Allen, John C. Reilly, Tina Fey, Morgan Freeman, John Krasinski, Samuel L. Jackson, and Meryl Streep. So, whatever you do, don’t let this one fly under the radar! If you’re anything like us, you will be eagerly counting down the days towards Avengers: Endgame, the highly anticipated sequel to Avengers: Infinity War. The fourth Avengers movie is already primed to be one of the biggest movie events of the year; an action-packed, adrenaline-fueled finale to the first age of the Marvel Cinematic Universe, one year after Marvel Studios celebrated its tenth anniversary. This time, Earth’s mightiest superheroes- among them Iron Man, Captain America and Thor- must rally together to pick up the pieces in the wake of Thanos’ Infinity Stone-powered snap. Directed by the Russo Brothers with a screenplay written by Christopher Markus and Stephen McFeely, Avengers: Endgame features an ensemble cast composed of the principal heroes played by Robert Downey Jr., Chris Evans, and Chris Hemsworth, among many others. Plus, franchise newcomer Brie Larson will return as Captain Marvel shortly after the release of her character’s solo debut. Sit tight, the end is in sight. It’s a whole new… live-action reimagining of a Disney animated classic with the release of Aladdin expected to land in theaters this coming May. The upcoming remake will put a magical spin on the 1992 Arabic folktale, expanding upon some elements of the original story in which a scrappy street rat known as Aladdin falls head over heels in love with Jasmine, the beautiful princess of Agrabah who is tired of living behind palace walls. Along with a goldmine of nostalgia, Aladdin uncovers an enchanted oil lamp inside the Cave of Wonders, destined to change his luck. Guy Ritchie is directing this project, which will be anchored by up-and-coming stars Mena Massoud and Naomi Scott as Aladdin and Jasmine, respectively. Will Smith has also joined the lineup in the larger-than-life role of the Genie, alongside Marwan Kenzari who is set to emerge from the shadows as the supremely villainous Jafar. It’s safe to say that all of our wishes have been granted. We will be taking a trip back to the toy-box this summer, as Toy Story 4 is set to be projected on to screens worldwide (to infinity and beyond). The last time that we saw Woody, Buzz and the rest of the gang, they were being handed over to new owner Bonnie as Andy prepared to head off to college. According to Disney-Pixar, the fourth movie in the long-running franchise will see the OG squad embark on a road trip adventure alongside friends both old and new, including a “reluctant new toy” called Forky who is suffering an existential crisis. Pixar-veteran Josh Cooley has taken on directorial duties for Toy Story 4 – his first feature-length movie, having previously worked in the company’s large art department. Other newcomers to the series include Keanu Reeves and Patricia Arquette in unspecified roles, as well as iconic duo Jordan Peele and Keegan-Michael Key voicing carnival characters Bunny and Ducky, who have already popped up in the movie’s second teaser trailer. There is another exciting remake of a Disney classic on the horizon, as a reimagining of 1994’s The Lion King is set to roar into theaters this July. Using photorealistic computer-animated technology, the Pride Lands and its bordering territories will be brought to life in a way that we have never seen before. The first teaser trailer for the live-action remake hit us right in the feels, especially with it being almost a frame-by-frame recreation of the original trailer for the animated movie, which was released 25 years earlier. Helmed by director Jon Favreau, who previously brought the live-action version of The Jungle Book to the big screen, The Lion King looks set to be a majestic masterpiece supported by a star-studded cast – including the legendary James Earl Jones, who will return to lend his powerful voice to the role of Mufasa. Other voice actors include Donald Glover as Simba, Beyoncé Knowles as Nala, Billy Eichner as Timon, Seth Rogan as Pumbaa, and Chiwetel Ejiofor as Scar. Could this reboot be king of the box office this summer? Artemis Fowl is an upcoming movie adaptation of the first novel from the best-selling book series of the same name written by Eoin Colfer. Although all of the characters may not be an exact representation of those in the original fantasy novels, director Kenneth Branagh has assured fans that it will be the same story that is widely known and loved. This means the spellbinding adventure will likely follow the journey of 12-year-old genius Artemis Fowl, who descends from a family of criminal masterminds and launches a search following the mysterious disappearance of his father. Ferdia Shaw will make his on-screen debut in the title role of Artemis Fowl, joining fellow Irish actor Lara McDonnell who will play Captain Holly Short, the LEPrecon fairy who is captured by Artemis. Josh Gad, Judi Dench, and Game of Thrones’ Nonso Anozie are among the other names listed as co-stars. Famously described as, “Die Hard with fairies,” we’re looking forward to giving this one a shot. 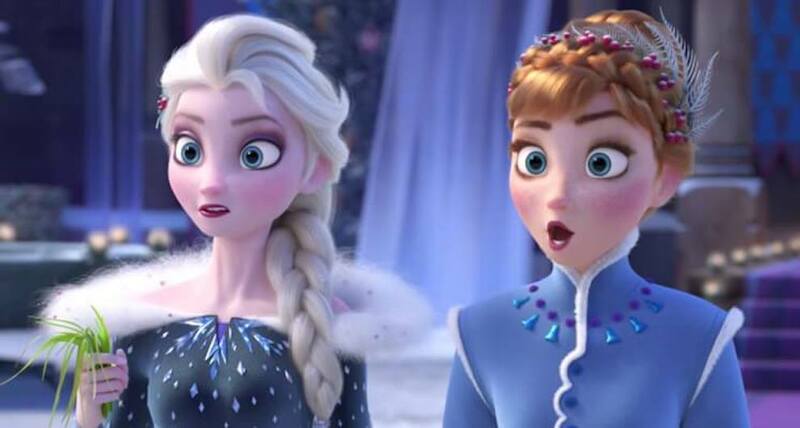 Disney’s Frozen was one of the greatest successes that the studio has ever seen and so it seems they’re not quite ready to let it go, as a sequel will blast on to our screens later this year. Idina Menzel, Kristen Bell, Jonathan Groff and Josh Gad are all set to reprise their roles as Elsa, Anna, Kristoff, and Olaf, respectively. New cast members Evan Rachel Wood and Sterling K. Brown will also be joining them, though their character profiles are being kept under wraps at this time. We can expect some earworm-worthy songs from this talented lot, as it has been revealed in an interview with Variety that at least four new songs have been written by Oscar-winning duo Robert Lopez and Kristen Anderson-Lopez. Be right back, we’re off to warm our vocal chords. 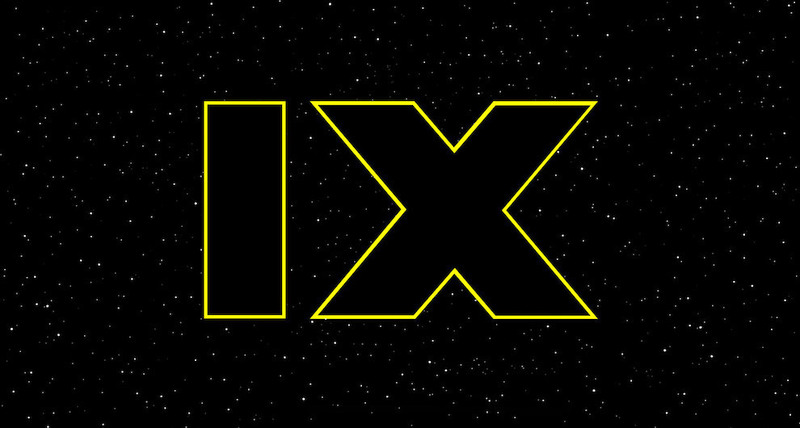 It might seem like a long time ago since you last checked in with your favorite denizens from a galaxy far, far away but, rest assured, as Disney will be closing out 2019 with Lucasfilm’s Star Wars: Episode IX. Since this release marks the conclusion of the Skywalker saga, production has been cloaked in mystery. It has, however, been confirmed that the storyline will include footage of the late Carrie Fisher as General Leia Organa. In a recent interview, her brother, Todd Fisher, promisingly revealed she will have a much larger posthumous role than some fans might have expected. Under The Force Awakens director J.J. Abrams, franchise headliners Adam Driver (Kylo Ren), Daisy Ridley (Rey), John Boyega (Finn), and Oscar Issac (Poe Dameron) will be reuniting for the final chapter of the sequel trilogy. Alongside a few veteran Star Wars actors, newcomers Keri Russell, Matt Smith, and Richard E. Grant will also appear. Let’s face it, you can rarely go wrong when choosing to watch a Disney movie, so whatever the occasion, gather your ‘ohana’ (that’s “family” in Hawaiian) and friends for a magical year of big screen entertainment. But first, Let Your Geek Sideshow and tell us in the comments which of these 2019 Disney movies you are looking forward to the most! Black Panther Gets Oscar Nomination for Best Picture, Marvel to Premiere Star Wars: Galaxy's Edge Comic, and More!